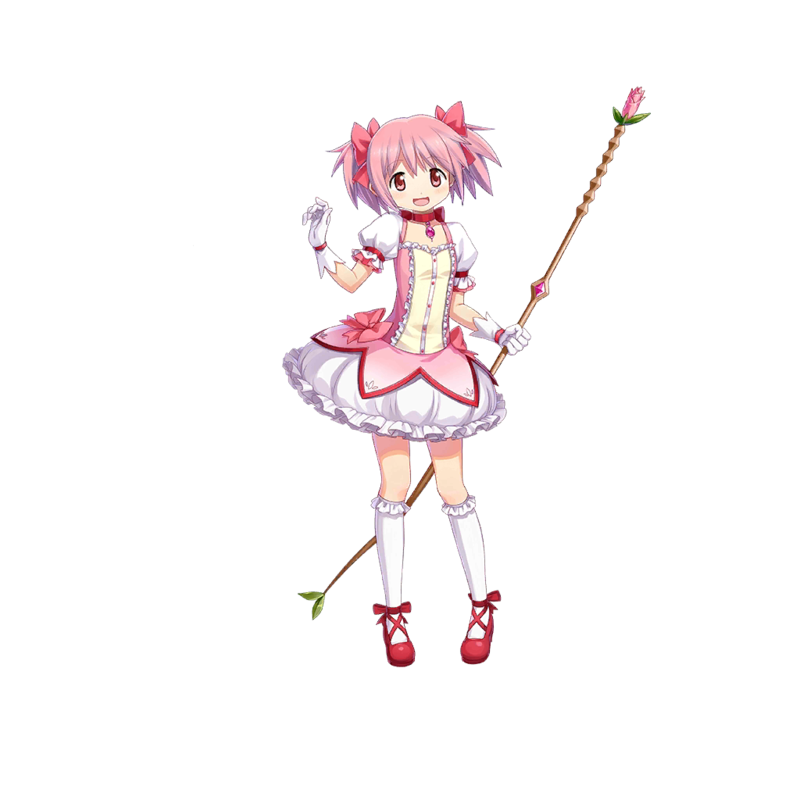 A girl with pink hair and a red ribbon. An average girl with a kind heart and personality. No One Has to Worry Anymore! 30% Light ATK damage 6 times & DEF 30% down for 3 turns to 2 nearest enemies. 30% Light ATK damage 6 times & MDEF 30% down for 3 turns to 2 farthest enemies. 10% of average of ATK and MATK as Light damage to all enemies 20 times. All allied heroes' DEF and MDEF up 10% for 5 turns. 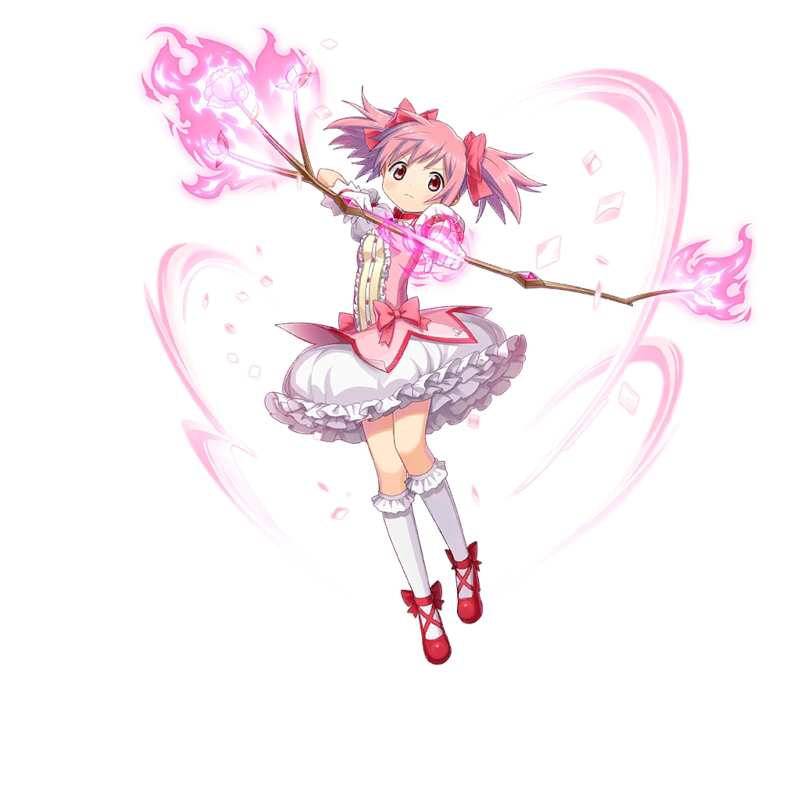 Madoka's Uniform (Sp.) I Can Be of Help to Someone! 130% Light ATK damage & DEF 20% down for 2 turns to nearest enemy & 130% Light ATK damage & MDEF 20% down for 2 turns to farthest enemy. se podra obtener este heroe de nuevo? Casi imposible,a menos que se repita la collab.